AUTOMOWER® AM315 ONLY $ 2,499*! Refers to model AM315 while stocks last, see page 15 for details. See page 4 for details. 249 refers to model 120 Mark II while stocks last, see page 2 for details. *See winwithhusqvarna.com.au for full T&C’s & entry details. Au res 18+ only. Starts: 1/4/19. Purchase by: 31/7/19. Entries close 11:59pm 13/8/19. Limit 1 entry p/person. Retain receipt. 15 prizes awarded each month. Prizes awarded in the form of a Pre-loaded Visa card. Starts quickly, handles easily and delivers excellent cutting performance making it the perfect garden chainsaw. Featuring X-Torq engine for lower fuel consumption and reduced emission levels. Equipped with Smart Start®, fuel pump and Auto return stop switch for easier starting. A lightweight chainsaw, featuring a low kick back cutting chain and full chain brake safety system for maximum protection. TO CELEBRATE OUR 60 YEAR CHAINSAW ANNIVERSARY, YOU COULD WIN* BACK THE PURCHASE PRICE OF YOUR CHAINSAW! Enter online @ WINWITHHUSQVARNA.COM.AU See winwithhusqvarna.com.au for full T&C’s & entry details. Au res 18+ only. Starts: 1/4/19. Purchase by: 31/7/19. Entries close 11:59pm 13/8/19. Limit 1 entry p/person. Retain receipt. 15 prizes awarded each month. Prizes awarded in the form of a Pre-loaded Visa card. Our lightest tree care saw gives you top performance when it matters most. Low emission X-Torq® engine and LowVib® for comfortable operation. Designed for full-time use by professional arborists, this saw boasts an excellent power-to-weight ratio, low vibrations and superior cut quality. MANAGE THE TRICKIEST OF TASKS P 536LiPT5 BATTERY POLE SAW A telescopic battery pole saw for professionals, with 5m telescopic reach and performance that surpasses petrol equivalents. The 536LiPT5 offers maximum performance and durability with low weight, excellent ergonomics and quiet operation for use in any location at any time of day. An agile and lightweight battery powered pole clearing saw with a 90 degree adjustable cutting head to quickly switch between horizontal and vertical bar position. Battery operated, fixed length pole saw for efficient and productive tree care. Low weight and well balanced design, with low vibrations and a high chain speed for the perfect cut. Donâ&#x20AC;&#x2122;t wait any longer, get the Husqvarna you want today with NO DEPOSIT & INTEREST FREE^ Finance. ^ Credit approved applicants only; fees, terms and conditions apply. See page 16 for details or ask in-store. Make tough jobs easy. A robust curved shaft trimmer that combines high power with a focus on ease of use. ATTACHMENTS FROM $234 Refers to Edger. See in-store for details. Quiet, lightweight and easy to operate hedge trimmer. Ideal for cutting small to medium size hedges. Powered by Husqvarna’s powerful BLi backpack battery, the handheld 530iBX blower is low in weight but big on all-weather performance. Lightweight, professional brushcutter with great ergonomics, 2-way rotation trimmer head and 3-tooth grass blade for use in coarser grass areas. High specification lawn mower, easy to start, designed for use on medium sizes lawns. Powerful, premium lawn tractor with 320L integrated rear collector, and fast transmission. H Z246 With cutting edge design, proven performance and innovative features, the Husqvarna Z246 Zero Turn mower is perfect to manage home acreages. The Husqvarna R216 is an efficient rider suitable for homeowners who require high efficiency, ease of use, superior manoeuvrability and a truly enjoyable ride. The 94cm Combi cutting deck offers the versatility of firstclass BioClipÂŽ mulching and rear ejection cutting modes. Program how, where and when your Automower® cuts the lawn. Mows up to 1500m2 and can also handle slopes with an incline of 22°. 2,499* ONLY WHILE STOCKS LAST! LOVE YOUR NEW AUTOMOWER® OR GET YOUR MONEY BACK! Terms and Conditions apply. 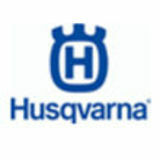 See husqvarna.com.au for full details. (no refund on installation costs). 60 PRIZES TO * BE WON ! WINWITHHUSQVARNA.COM.AU See winwithhusqvarna.com.au for full T&Câ&#x20AC;&#x2122;s & entry details. Au res 18+ only. Starts: 1/4/19. Purchase by: 31/7/19. Entries close 11:59pm 13/8/19. Limit 1 entry p/person. Retain receipt. 15 prizes awarded each month. Prizes awarded in the form of a Pre-loaded Visa card. Approved applicants only. Fees, terms, conditions & minimum finance amounts apply, incl $99 Annual Fee charged on the account open date and annually on the anniversary of that date. Annual Fee must be paid in full within 90 days or it will attract interest. Minimum monthly repayment required. Interest, (charged at the Expired Promotional Rate) payable on outstanding balances after any Interest Free Period. See skyecard.com.au for current interest rates. Only available at Skye retail partners. Credit provided by FlexiCards Australia Pty Ltd ABN 31 099 651 877 Australian Credit Licence number 247415. FlexiCards Australia is a subsidiary of FlexiGroup Limited. See all the latest deals and new products from Husqvarna Australia this season!